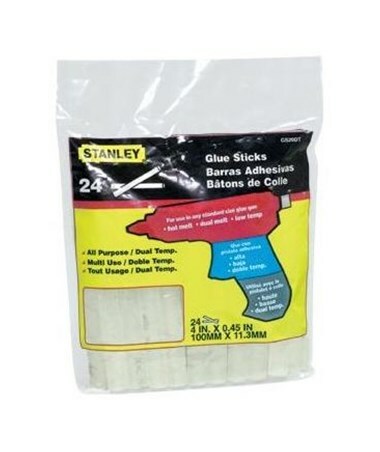 The Stanley Dual Temperature Glue Stick is a reliable adhesive for bonding a wide array of materials. It provides fast and clean bond for both high and low temperature projects such as household repairs, carton sealing, crafting, and many others. It can be used to bond wood, plastic, glass, metal, and ceramics. It is also ideal for bonding heat sensitive materials including ribbons, Styrofoam, papers, fabrics, beads, and even dried flowers. 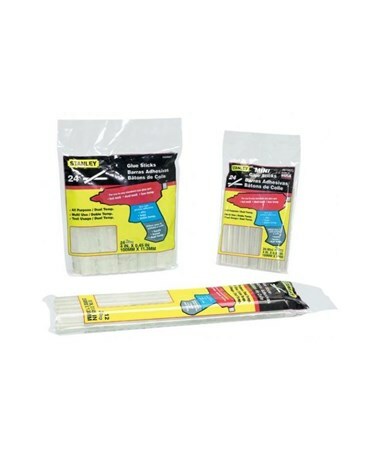 The Stanley Dual Temperature Glue Stick is available in four-inch and ten-inch lengths. 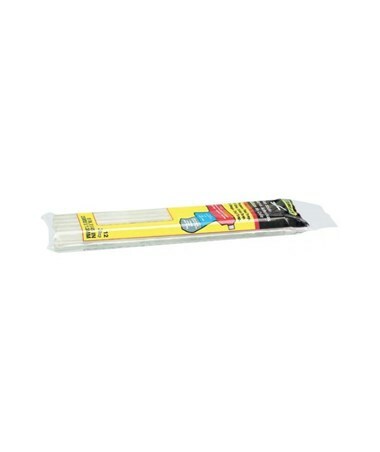 It offers 0.28-inch and 0.45-inch diameters to suit glue guns of different sizes. 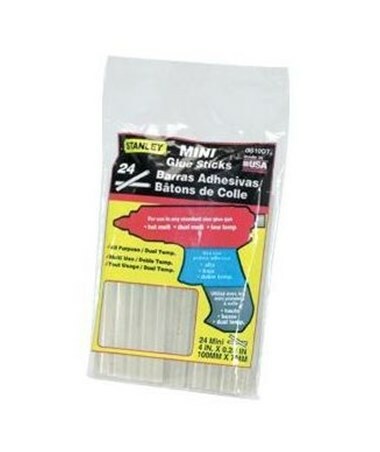 It comes in 12-piece or 24-piece pack to accommodate various bonding needs and preferences. 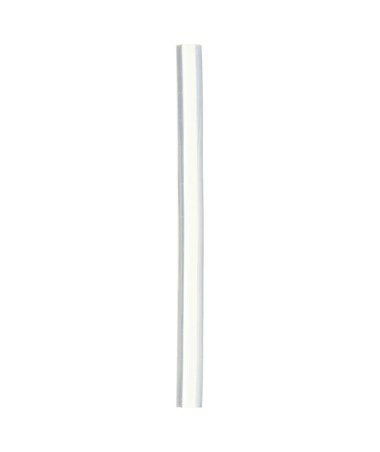 With no shelf-life limit, it is long-lasting and can be stored for future use. 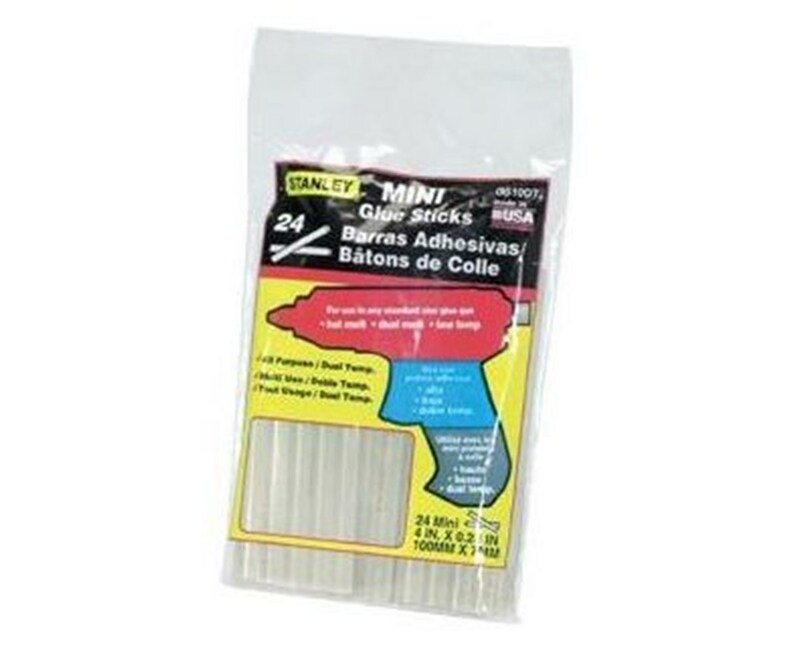 The Stanley Dual Temperature Glue Stick comes in three different size variations and two package options. Please select your preference from the menu above.